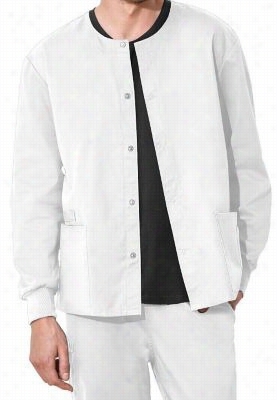 Cherokee Workwear Flex unisex scrub jacket with Certainty. - White - 4X. 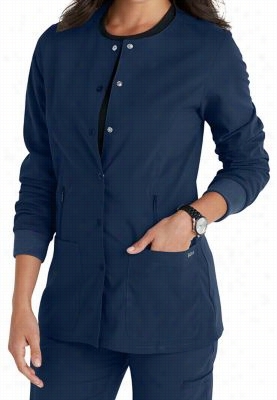 This stylish unisex scrub jacket from the Cherokee Workwear Flex collection has a convenient snap front, instrument loop, knit cuffs, and roomy pockets to carry your favorite accessories. This jacket is made with Certainty antimicrobial that provides long-lasting freshness and reliable protection against bacteria. Round neck Two patch pockets Instrument loop Back yoke 29' length 65% Polyester/35% cotton built-in stretch twill Always wash all garments thoroughly after each use. EPA disclaimer: Garments featuring antimicrobial technology do not protect users or others against bacteria, viruses or other disease organisms. 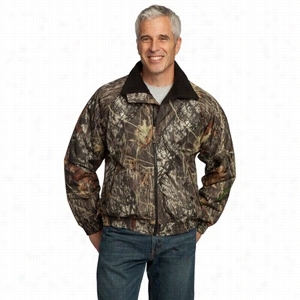 Port Authority Mossy Oak Challenger Jacket. KD110 4-pocket warm up scrub jacket. - Indigo - 3X. 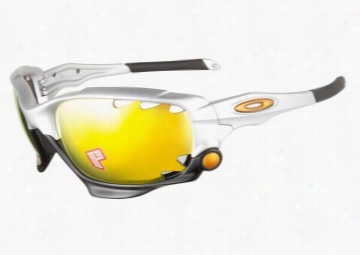 Oakley Racing Jacket 9171 21 Silver 62. Oakley Racing Jacket 9171 21 Silver 62 sunglasses are a bold sporty style perfect for both men and women. This two-toned silver and black frame features bright orange accents and is designed to withstand all conditions. The bridge and temple tips feature Unobtainium® components that increase grip when you sweat. These sunglasses feature Oakley Switchlock™ Technology allowing you to easily change and customize your lenses. The vented lenses help prevent fogging making this frame a great choice for even the most extreme activites.br/This product is not eligible from promotions or discounts. Port Authority Two-Tone Soft Shell Jacket. 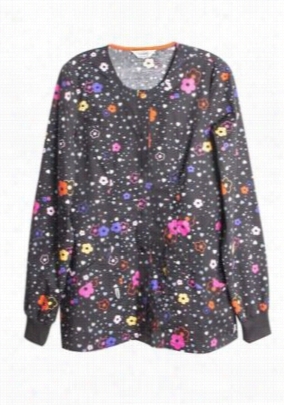 Code Happy More Flower to You print scrub jacket. - More Flower to You - S.
This beautiful floral print jacket from Code Happy is perfect for fall! 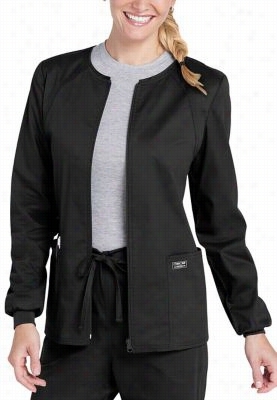 The More Flower To You jacket has a convenient snap front, a Feminine shape, and roomy pockets for your accessories! Code Happy is made with Certainty antimicrobial that provides long-lasting freshness and reliable protection against bacteria. Round neck Snap front Two pockets Ribbed cuffs 28' length 97% cotton/3% spandex Always wash all garments thoroughly after each use. EPA disclaimer: Garments featuring antimicrobial technology do not protect users or others against bacteria, viruses or other disease organisms. 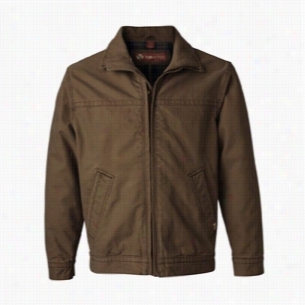 Cherokee Workwear Core Stretch scrub jacket. - Black - L.
UltraClub Adult Full-Zip Hooded Pack-Away Jacket. 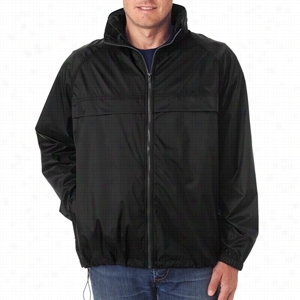 100% nylon2 oz.Water- and wind-resistantHidden hood in zippered liningOpen left flange for easy embroideryElastic cuffsPacks into right pocket Convenience is key with this weather resistant hooded Jacket that packs away with ease. 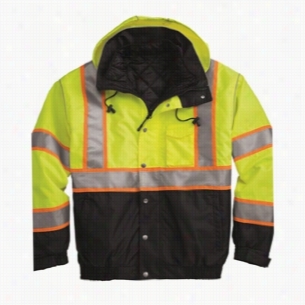 Item features: 100% nylon 2 oz., water and wind-resistant, hidden hood in zippered lining, open left flange for easy embroidery, elastic cuffs, packs into right pocket, Sizes: S-4XL. Add your custom Ink to optimize your brand! Perfect for: church outings, fundraisers, company picnics, holiday gifts, and more! 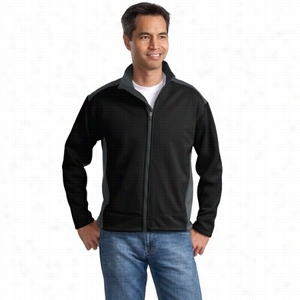 For a higher end, we have UltraClubÂ® Men's Soft Shell Jacket. DRI DUCK Maverick Boulder Cloth Jacket with Blanket Lining. ML Kishigo Brilliant Series Jacket.